Christopher Trainor & Associates specializes in Michigan auto accident lawsuits, including personal injury and no-fault personal injury protection benefits you are due after a car crash. Our law firm’s aggressive staff of attorneys, including former auto insurance lawyers, will fight insurance companies for your rights. Their past experience of working on the other side of the court provides you with the skills needed to receive the compensation you deserve. Contact us today for a free case evaluation. If you have experienced any of the injuries listed below due to a motorcycle or car accident, you may be eligible for compensation. While these are the more common personal injury cases our Michigan attorneys handle, they are by no means the limit of what claims we can assist with. After an automobile accident in Michigan, insurance companies are not obligated to tell you anything about the rights you are entitled to. If you don’t ask for the appropriate benefits by your carrier, they may never pay you. Due to our existing laws, if you do not ask for compensation within the appropriate time limit and through the right channels, the company may deny you. 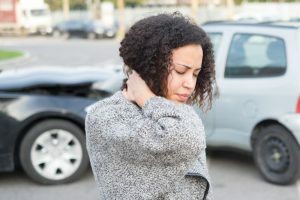 If you want to take the right steps towards filing a legal claim after a Michigan auto accident, contact Christopher Trainor & Associates today to connect with a lawyer who can provide the help you need. Christopher Trainor & Associates hold the record for the highest amount of settlements and verdicts of any Michigan accident attorney, with just over 60 years of experience between attorneys collectively. Having helped over 2,000 clients and counting, we look forward to hearing about your case and assisting you to the best of our ability.